2 Fat Indians is here to take you on an ENTHRALLING CULINARY ODYSSEY through some mesmerizing recipes of the Indian sub-continent, complimented with GRACIOUS HOSPITALITY and exquisite service. Whether you are visiting Perth or like to call it home with Two Fat Indians you’re never far from an authentic and stylish Indian Dining experience – why not reserve a table or call in for takeaway? 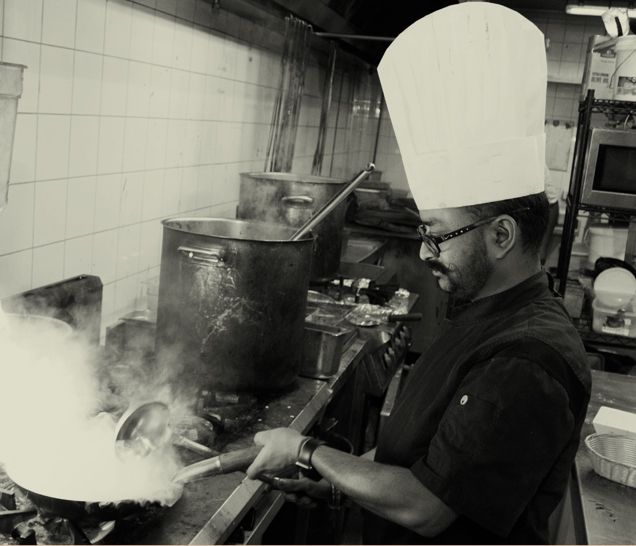 With over 13 years experience in the culinary world and specialising in Indian Cuisine Chef Vickey began his journey from his home town of Kolkata, Howrah. Having an extensively vibrant career working for the biggest of brands in the world of culinary Chef Vickey sees his cooking as a combination of different colours and flavours on a plate bringing together the best of modern Indian cuisine from all parts of the Indian sub-continent. A dynamic chef and culinary visionary, in his work is a blend of a neuro-surgeon's precision (which he aspired to be) combined with the creativity of a genuine artist (who we believe he is today). His search for culinary knowledge has taken him to different parts of India and the world to explore different styles of Indian cuisine giving him the magic to please every palate. Having started his journey at the Oberoi center for learning and Development Chef Vickey progressed in his career working with the top Culinary gurus in New Delhi . His career in Australia has been exclusive to 2 Fat Indians where he has stired exceptional meals for the last 4 years and is now heading the 2 Fat kitchen as an Executive Chef. 2Fat Indians Coming from the area of Kathmandu Valley, Nepal, Chef Keshab KC brings 7 years of experience to his new role as an Executive Chef at renowned restaurant Two Fat Indians Highgate. He brings a remarkable array of Indian Cuisines to enchant customers in Perth. When it comes to a state-of-the-art kitchen, Chef KC thinks his love for curries and his passion for Indian food has had helped him to become a curry Guru. Chef KC has infused flavors from his global travels from Nepal to India to United Kingdom to Australia and more – into his dishes at 2 Fat Indians, bringing acclaim from food bloggers and diners alike. His travels have also helped him work with curry experts from various parts the Indian Subcontinent giving him exceptional knowledge on various Indian regional cuisines. With over 12 years of progressive experience across International Luxury Hotels, Darshan is an ace hotelier known to be the game changer in each of his distinct roles. He started his career in one of the world’s leading hospitality brands, Grand Hyatt Mumbai. He has climbed up the ladder by being part of multiple pre-opening restaurants, Asia’s longest Lunch, Innovative social media marketing, initiating barcode review system, award winning restaurant to name a few of his achievements. His keen sense of observation and experience across various departments has made him a truly multicultural leader and he feels at home, anywhere in this world. He is born in India's most populous and cosmopolitan city of Mumbai. He is known for his superlative guest interactions and exceptional customer service. Having a meaningful relationship with each of the stakeholders is important to him. He has excelled at improving profit margins, developing and evaluating employees, able to quickly understand complex concepts, identify and solve problems, turn ideas into logical strategies, and realising consistent increases in sales volume. A firm believer of work-life balance, he strongly believes in getting adequate family time. Varinder Singh Dhillon, a man of passion and love towards his work. Dhillon (as we like to call him) comes with extensive industry experience. Having started as a casual restaurant server and working up his way up, Dhillon now stands proud managing Two Fat Indians Highgate. The many years of his experience working in diverse roles within the business gives him an extensive understanding towards the business and the guest’s expectations alike. 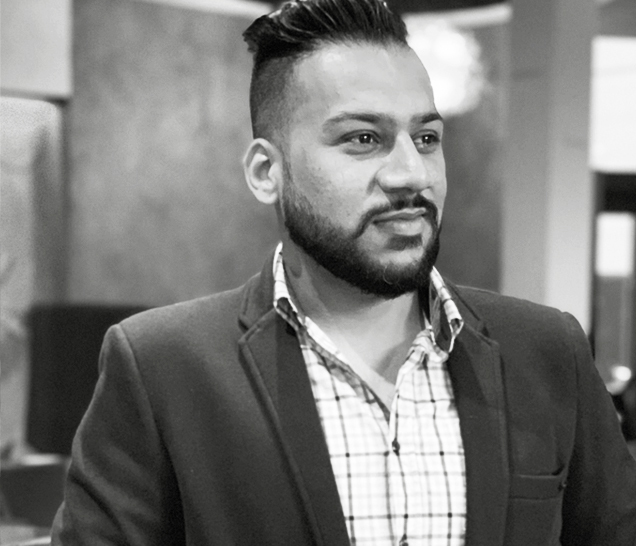 Having arrived in Australia in 2009 Dhillon pursued his education in hospitality giving him a solid base to work in the industry. Dhillon in his own words has always admired Two Fat ways, knowing its reputation for delivering genuine hospitality as well as emphasis on the importance of company culture, and the growth of its associates.His favorite thing about working with 2 Fat Indians is how the leadership team is genuinely interested in taking care of their associates and making them better today than yesterday leading them into an exceptional tomorrow . 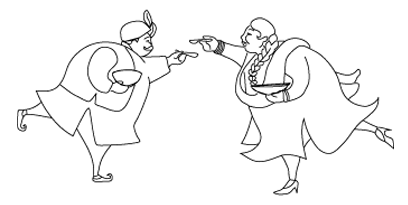 Through his firm belief in guest satisfaction and the love for the Restauant business, Dhillon advices for those interested in pursuing a career in the restaurant and hospitality industry is to master the minutest of fundamentals, strive to be an expert in every job you do, take full accountability and to learn the most you can. With an illustrious career spanning over 14 years, Chef Pawan Singh brings with him vast knowledge and understanding of the hospitality industry. He will take the culinary experience a notch higher, celebrating authenticity with traditional cooking styles. After graduating from HNB University in Srinagar and Diploma in Hospitality, Chef Pawan started his culinary journey as a Commis Chef with The Club Restaurant in Mumbai. He has worked with premium hospitality brands like ITC Hotels Grand Central in Mumbai as Chef De Partie, 2 Fat Indians in Perth as Chef and Crown Towers in Perth as Senior Chef De Partie to name a few. With his vast experience and deep understanding, he has gained expertise in catering to large banquets and also spearheaded operations across lounges and fine dining restaurants making his culinary journey remarkable. His innate understanding of food allows him to adopt delicacies from different cultures and regions to different tastes and sensibilities. Chef Pawan firmly believes that ingredients are the key elements of his food and ascertains the usage of freshest, seasonal and local produce strictly sourced for their quality. Apart from being extremely enthusiastic about culinary, his interests are to listen to music and playing cricket. 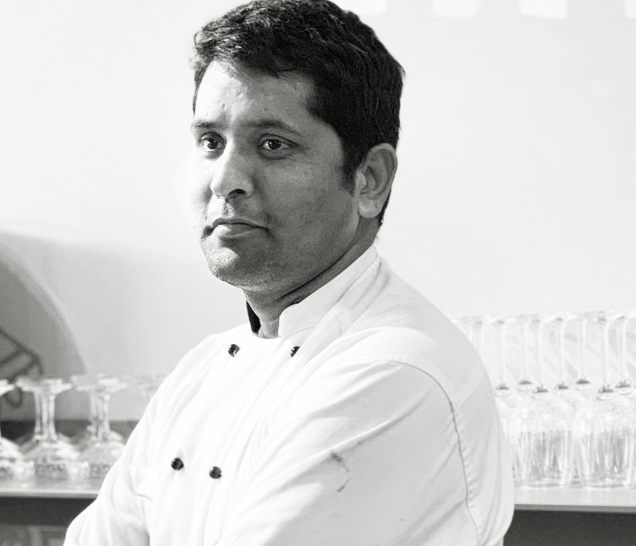 With over 13 years experience in the culinary world and specialising in Indian Cusine Chef Vickey began his journey from his home town of Kolkata, Howrah. Having an extensively vibrant career working for the biggest of brands in the world of culinary Chef Vickey sees his cooking as a combination of different colours and flavours on a plate bringing together the best of modern Indian cuisine from all parts of the Indian sub-continent. A dynamic chef and culinary visionary, in his work is a blend of a neuro surgeons precision (which he aspired to be) combined with the creativity of a genuine artist (who we believe he is today). His search for culinary knowledge has taken him to different parts of India and the world to explore different styles of Indian cuisine giving him the magic to please every palate. Having started his journey at the Oberoi center for learning and Development Chef Vickey progressed in his career working with the top Culinary gurus in New Delhi . His career in Australia has been exclusive to 2 Fat Indians where he has stirred exceptional meals for the last 4 years and is now heading the 2 Fat kitchen as an Executive Chef. When it comes tot a state-of-the-art kitchen, Chef KC thinks his love for curries and his passion for Indian food has had helped him to become a curry Guru. 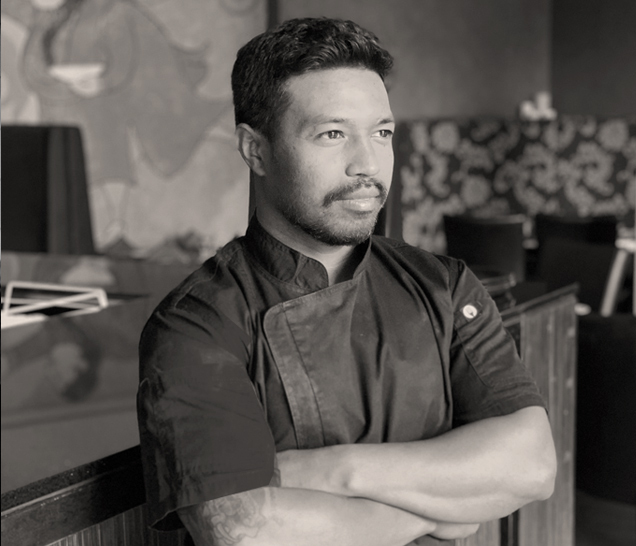 Chef KC has infused flavours from his global travels from Nepal to India to United Kingdom to Australia and more – into his dishes at 2 Fat Indians, bringing acclaim from food bloggers and diners alike. His travels have also helped him work with curry experts from various parts the Indian Subcontinent giving him exceptional knowledge on various Indian regional cuisines. Varinder Singh Dhillon, a man of passion and love towards his work. Dhillon (as we like to call him) comes with extensive industry experience. 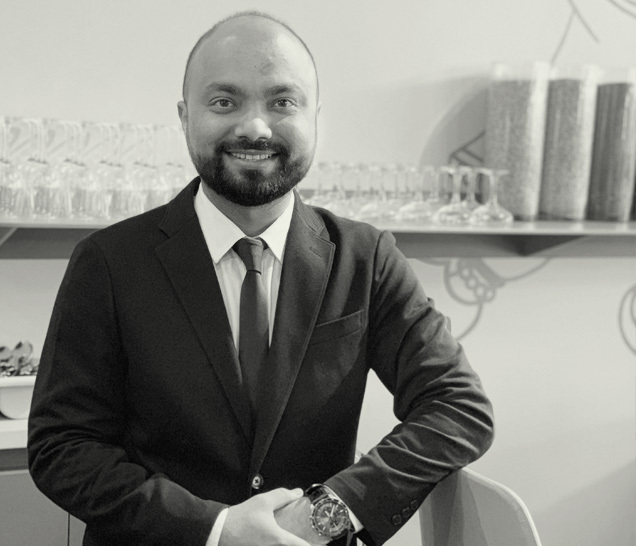 Having started as a casual restaurant server and working up his way up, Dhillon now stands proud managing Two Fat Indians Highgate. The many years of his experience working in diverse roles within the business gives him an extensive understanding towards the business and the guest’s expectations alike. Having arrived in Australia in 2009 Dhillon pursued his education in hospitality giving him a solid base to work in the industry. Dhillon in his own words has always admired Two Fat ways, knowing its reputation for delivering genuine hospitality as well as emphasis on the importance of company culture, and the growth of its associates.His favourite thing about working with 2 Fat Indians is how the leadership team is genuinely interested in taking care of their associates and making them better today than yesterday leading them into an exceptional tomorrow . Through his firm belief in guest satisfaction and the love for the Restaurant business, Dhillon advices for those interested in pursuing a career in the restaurant and hospitality industry is to master the minutest of fundamentals, strive to be an expert in every job you do, take full accountability and to learn the most you can.